Sterling Silver Orange Miniature Splendid artisan sterling silver orange miniature. Superbly executed as an highly detailed orange. This item was made in the electroforming method. 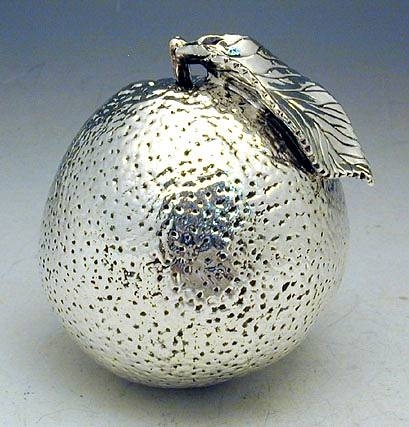 A wonderful item bound to make an excellent gift to your friends and an excellent addition to any silver collection. Measurements: Height: 8.3cm. / 3.268in. Width: 6.5cm. / 2.56in. Weight: 210gr. / 6.75oz. 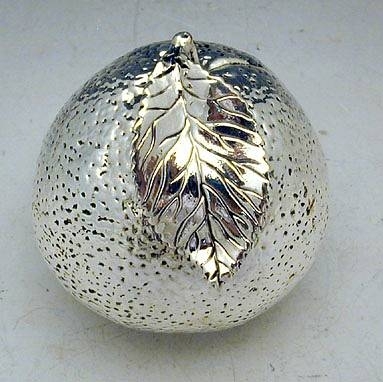 Marks: 925 for sterling silver.